Ah, the holy grail of entertainment: the glitz of a Vegas production and the family appeal of the big top. Le Grand Cirque captures that magical combination, and, for a limited time this summer, brings it directly to our doorstep. The international cast takes audience members on the ride of their lives with dazzling acrobatics and jaw-dropping stunts like the Wheel of Death—one of the most dangerous acts ever attempted in a live show. Other breathtaking feats include contortion, a strong man, Chinese pole climbing, and much more. 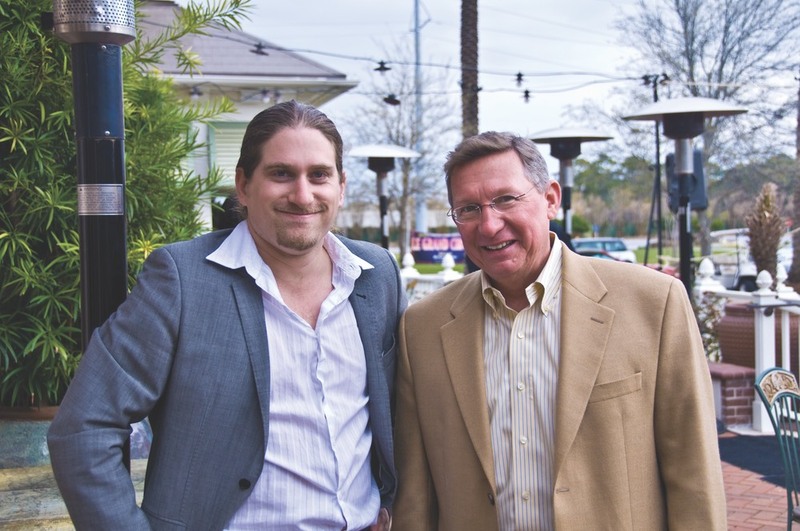 Simon Painter and Grand Boulevard Developer, Keith Howard. As anyone who has witnessed the spectacle of Le Grand Cirque over the past six years can attest, no detail of the show has been overlooked. From music to lights to brightly colored costumes inspired by the four seasons, the multimillion-dollar production quality is immediately apparent. “The music heightens the impact of the daring acts and then transitions to the graceful, comedic aspects. The sound system and lights also play an important role in propelling the intensity of the performances,” she says. Infusing only top-quality elements into Le Grand Cirque was of paramount importance to David King, the visionary behind the show and one of the UK’s most prolific and successful producers. His foresight has earned multiple awards for Le Grand Cirque and garnered the show an international reputation for enthralling adults and children alike. Younger attendees are mesmerized by the non-stop action and seemingly impossible exploits, while adults are drawn in by a level of sophistication usually reserved for colossal productions in major metropolises. Local audiences will experience Le Grand Cirque’s thrilling performances in enchantingly high style reminiscent of its big-top roots. Three cream-colored fabric structures comprise the elegant venue, which boasts luxurious touches like air conditioning and wooden floors. The spare-no-expense aura is a perfect fit for Grand Boulevard at Sandestin, already known to its residents and to visitors as a distinctive dining and entertainment destination. “One of the great things about the show’s location is that before or after the show you can enjoy great dining at one of the five signature restaurants in the town centre. There are also casual eateries, fun bars, galleries, and shops. It’s a beautiful place to wander around, window-shop, and people watch,” Brady advises. Le Grand Cirque, which has an initial run from May through August, will offer at least eight performances a week. 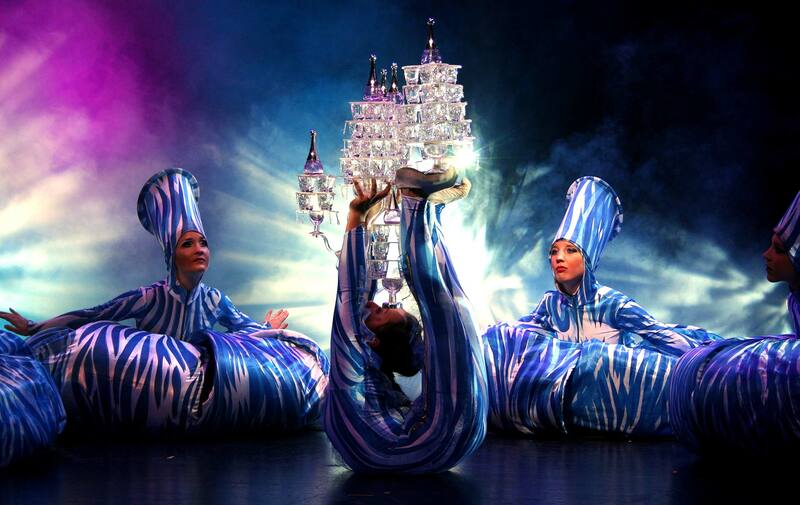 For ticket information and additional show details, visit www.cirquedestin.com or call (866) 973-9610.